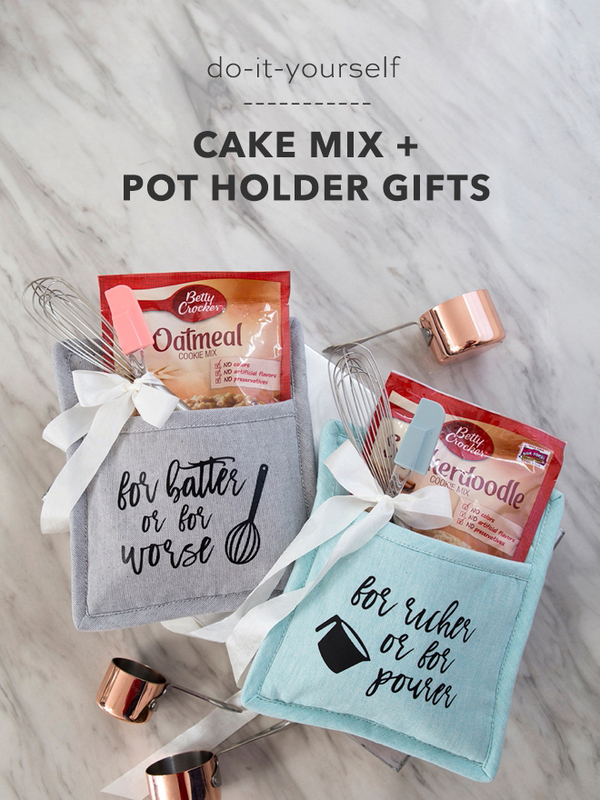 These DIY Cake Mix Pot Holder Gifts Are Just Adorable! It’s day number two of #favorweek and I’m in love with this one! 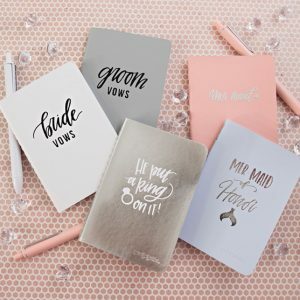 It’s not a new idea, as I’m sure you’ve seen things like it before but what’s fantastic is that I’m using my brand new, petite EasyPress 2 along with my Cricut for the personalization! 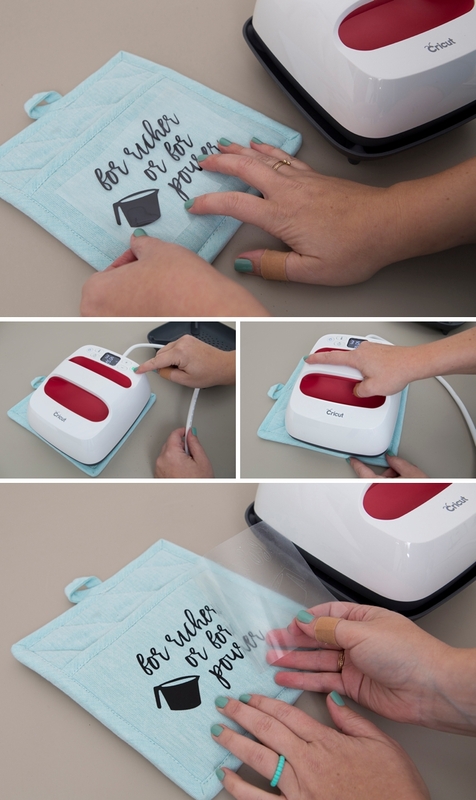 If you haven’t heard of the EasyPress, think of like the love child of an iron, heat press, and digital thermometer all-in-one. 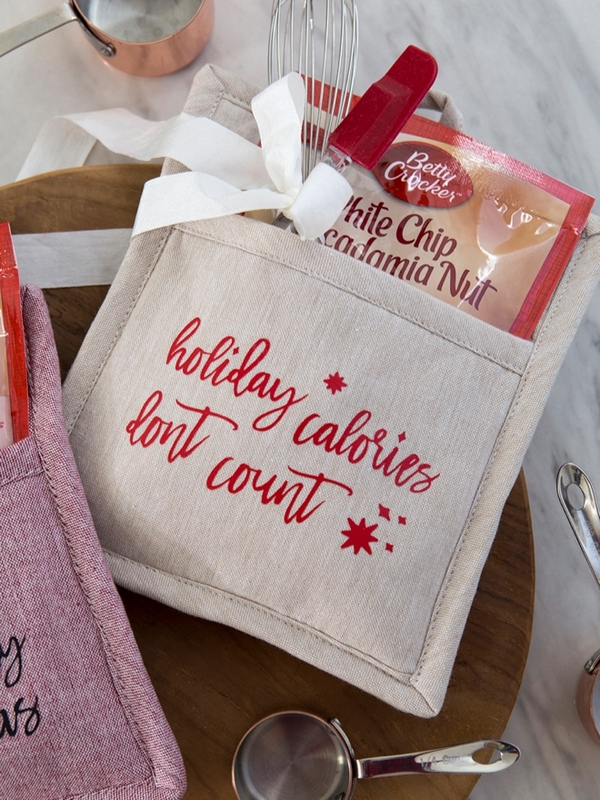 It’s sleek design and easy to use temperature and time settings, take all the guesswork out of iron-on projects. 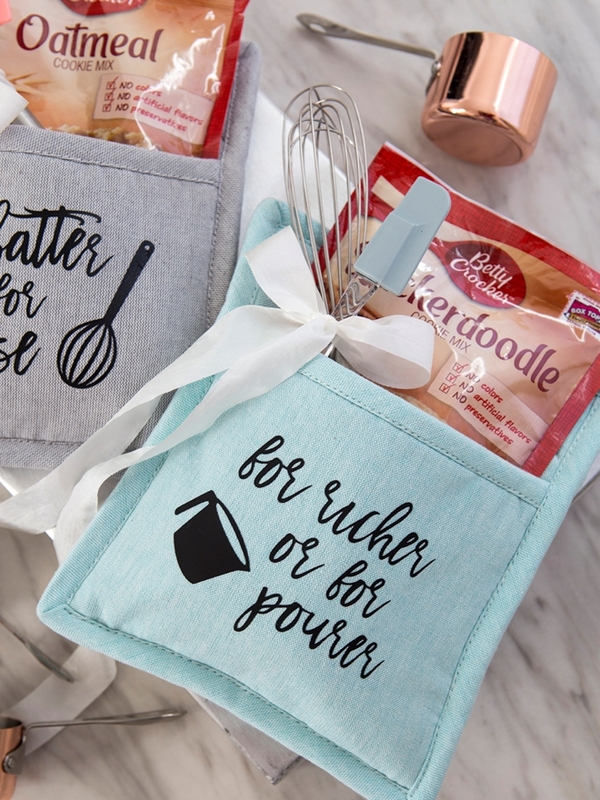 I’m using the new 6″x7″ model to create these darling Cake Mix + Pot Holder favors, perfect for your bridal shower game prizes, hostess or bridesmaid gifts… and since it’s favor week, small holiday gifts of course! 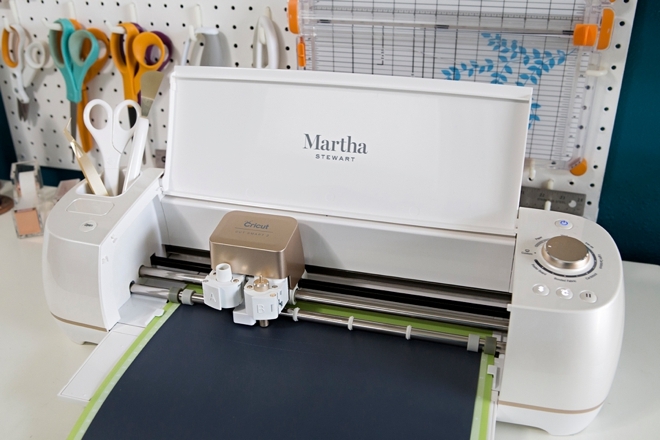 The new EasyPress 2, is the hottest in iron-on essentials and will have you creating right out of the box! It’s beautiful, raspberry finish will add color and style to your craft room. 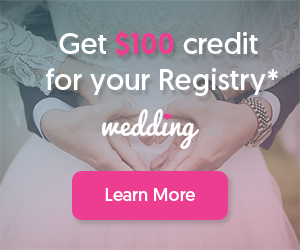 It features an advanced heat plate design with a ceramic-coated surface that gives you professional iron-on results in 60 seconds or less. The entire plate heats up to the exact temperature you set it to, unlike an iron that is the hottest in the center. 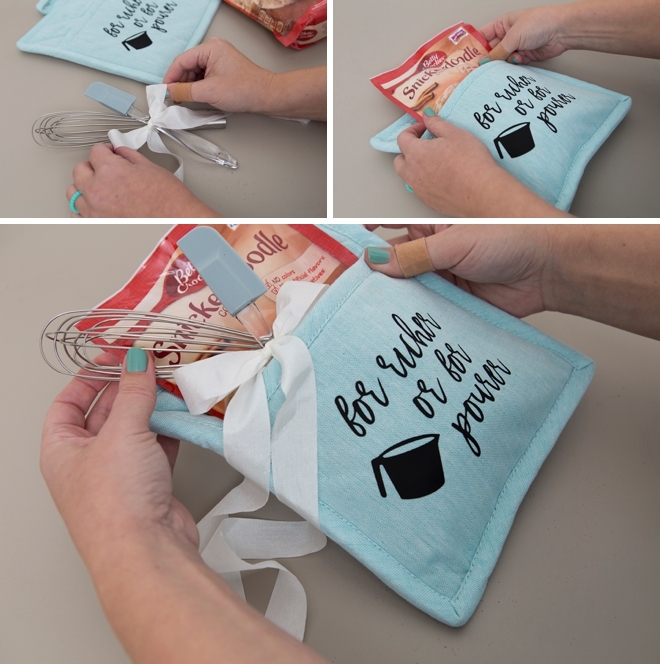 The precise temperature control takes all the guesswork out of iron-on projects. 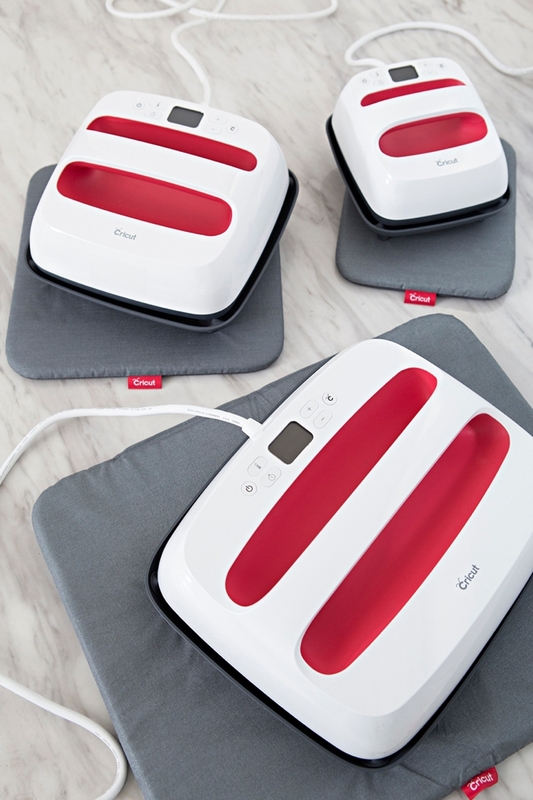 The EasyPress 2 is simple to use, it’s lightweight, portable, and easy to store… in fact, it’s completely replaced my iron. I’m excited to share that it now comes in three sizes: 6”x7” (the one I’m using here), 9”x9”, and 12”x10”! 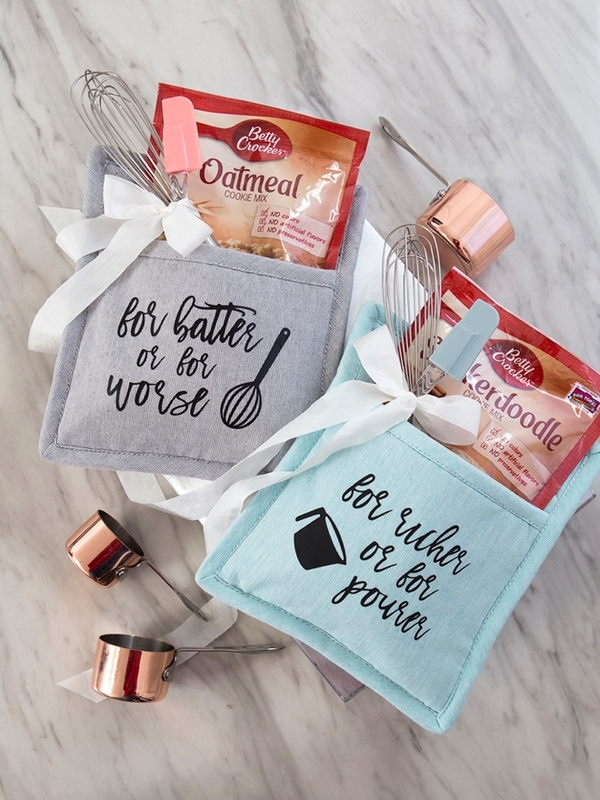 The first step is to login to Design Space and start designing your pot holder sayings! 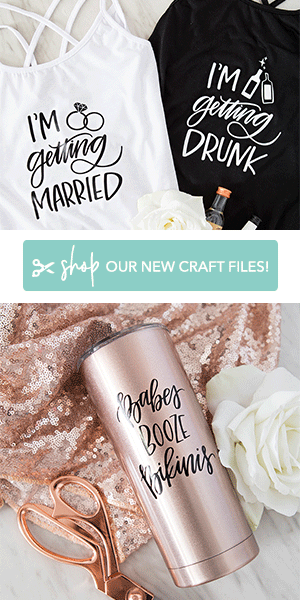 Click on this link to visit my canvas in Design Space to use my pre-designed cut files, some of the files I used for these designs require a subscription or will cost a few dollars. 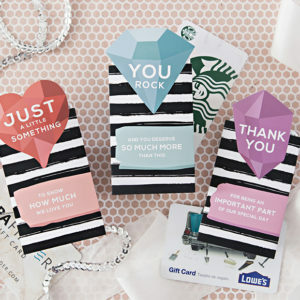 If you know the gift receiver, you might want to add their name too. I used the font Madina Clean Script for the wording. Prepare your mat and get ready to cut! 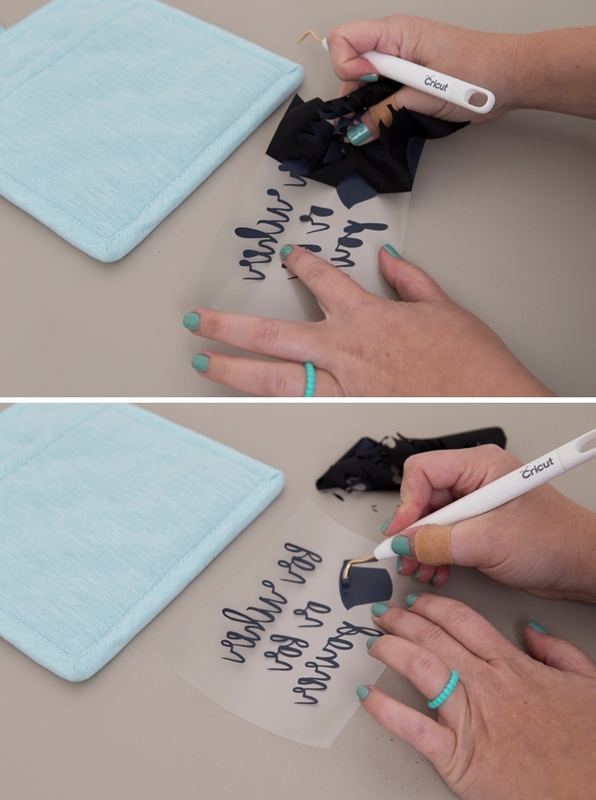 Don’t forget for iron-on designs the backside of the iron-on should be face up and you’ll need to click the “mirror-image” button on the cut screen canvas before cutting, otherwise, your iron-on will be backward! 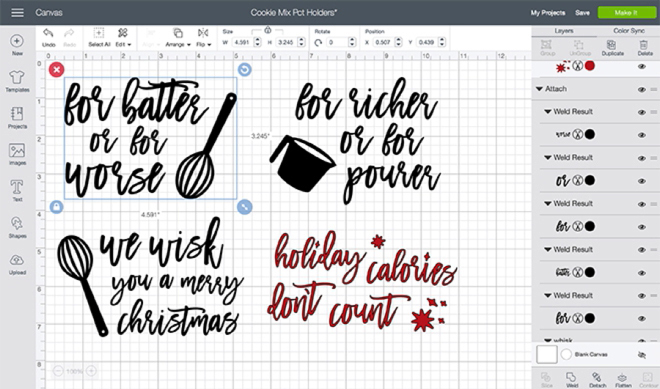 One of my favorite aspects of using the EasyPress 2 is that Cricut has already created a spreadsheet of heat times and heat temperatures for all fabrics and types of iron-on. 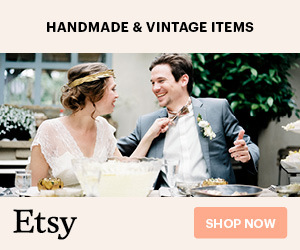 So if you’re using everyday iron-on on 100% cotton like we are here, there is an exact setting for that, which happens to be 315º for 30 seconds, front and back. That’s what I mean by no guesswork. 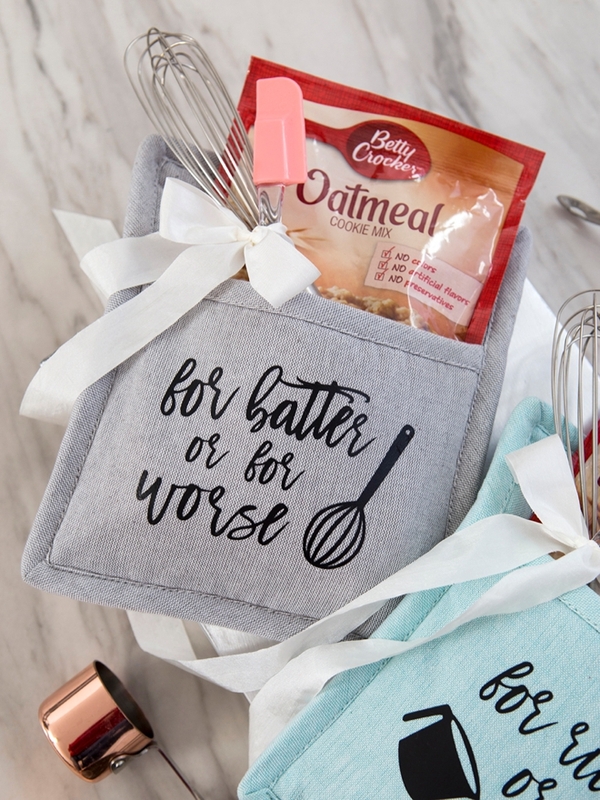 You don’t have to hope that your iron is hot enough or that you’ve held it on the fabric for long enough. Follow this link to find the chart, I printed it out to have it on hand, then simply plug the correct temperature and time per your project into your Easy Press and press away! 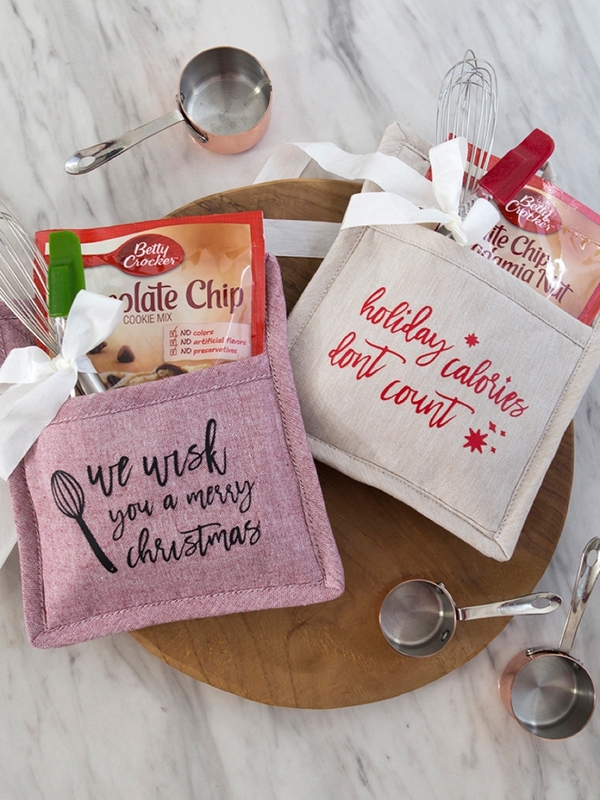 Once your darling pot holder has been personalized, it’s time to assemble the gift. 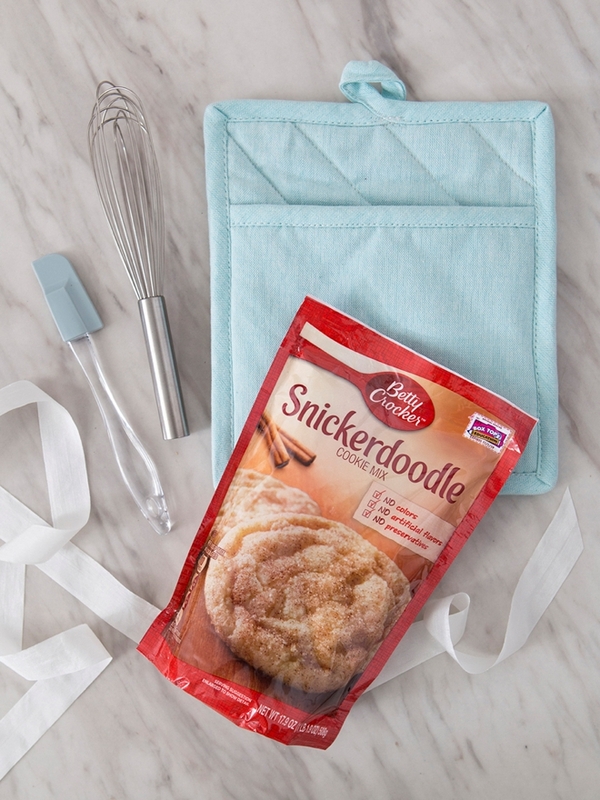 Tie a mini spatula and mini whisk together with 1” ribbon, and then add the set and the cookie mix to the pocket. Adorable! 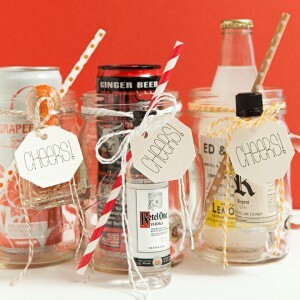 I cannot take credit for the amazing wedding sayings, that was all Shea O’Quinn, she’s the best at that stuff! 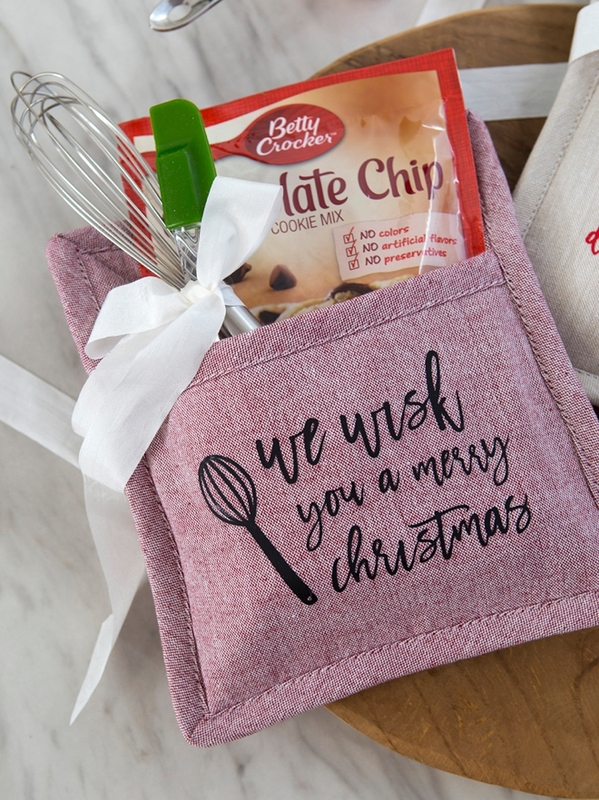 Whether you’re making these for wedding gifts or holiday gifts, the receiver is sure to be delighted with something yummy they get to enjoy immediately, the cookies, and something special they get to continue to enjoy, the personalized pot holder!